Entourage Yearbooks, a yearbook publishing company, shares some of their clients’ past success stories for effectively funding yearbook projects. Some of the simplest ideas include penny drives, booster text and advertising pages for local and corporate businesses. Funding a yearbook can become a great opportunity for schools to bring together the entire student body. One successful yearbook funding idea came in the form of pennies. A school experienced tremendous success when they launched their Penny Drive to fund their school yearbook project. Students from each class were asked to bring in spare change consisting of pennies only to put towards the yearbook. The class that collected the most money in pennies would win an extra page in the yearbook filled with their photos and capturing even more of their memorable year. Over $1,500 was raised, entirely from pennies, in a 3-4 week time period, which paid for the school’s yearbook. Yearbook “Boosters" are another common form of raising money for Yearbooks. Boosters consist of 3-5 lines of personal text messages which family members can dedicate to students in the school. The “text messages", so to speak, are sold by students to their friends and family. An average of 30-50 Boosters can fit on a page and typically cost anywhere from $3-$5. According to Judy Jo, a senior account manager at Entourage Yearbooks, Boosters are particularly successful because they’re priced right. “Parents can sponsor commemorative messages for as little as $3.00 in the school’s yearbook. It’s a price that is right for most families regardless of their budgets." Because of this, Booster Text is considered a quick and easy sell to help raise funds for yearbook projects. Yet another form of fundraising dollars comes from local businesses in the community who wish to show their support by purchasing an advertisement in the school yearbook. 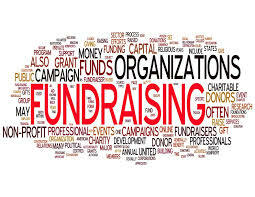 Many local and even corporate businesses are dedicated to be involved and connect with their community; in many instances setting aside budgets for community donations. Many corporate businesses set aside these budget amounts each year for donations, so schools can take advantage by simply finding them and asking to be sponsored. Other schools have had success through bake sales, book sales, lemonade stands and more. Jo also reminds students that yearbooks can also be sold at a profit, serving as its own fundraiser for other education programs. Regardless of fundraising program put in place by schools for their yearbook, Entourage Yearbooks has dedicated services to help market those ideas with customized marketing materials to further enhance efforts. Posters, order forms, fliers and brochures can all be customized with school colors, logos and mascots. Jo, from Entourage Yearbooks, shares “It’s been a tough year for schools, especially in this economy, but we’ve seen a few small fundraising ideas go a long way to help make school yearbooks fun and more affordable."